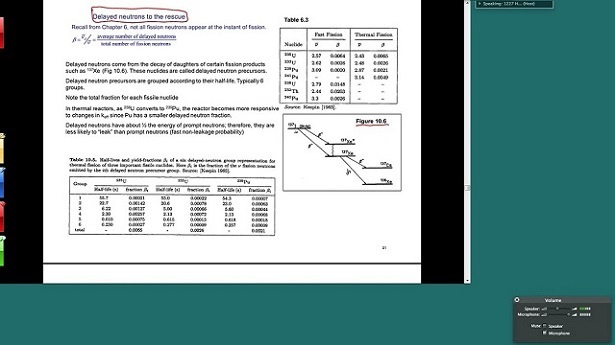 Navigate to the WebEx link (a student producer can assist you with this step). 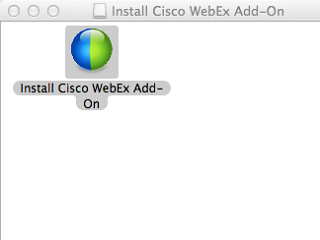 If this is your first time accessing Web-Ex, you may need to download a WebEx Add-on. Open the downloaded file and click to run the file. 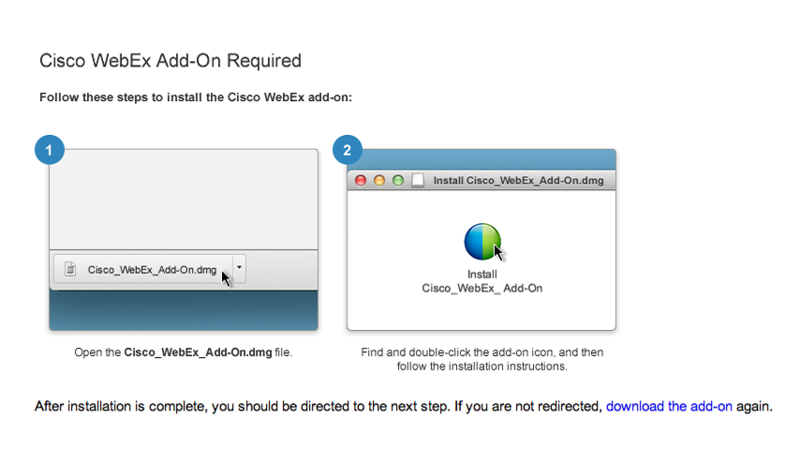 Allow WebEx to run in your browser as shown below. Enter Your name. Your Email address is optional. Click Join Now. 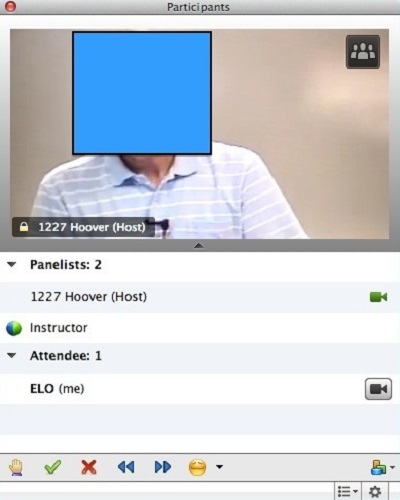 The live class meeting will appear on your screen. Click Yes to hear audio for the class. 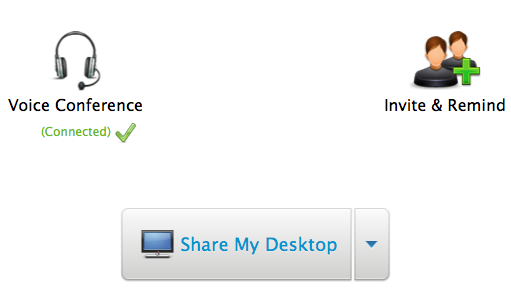 You can set your speaker Volume in the dialog box below. Click this bar to expand the menu. From there, you can access several additional options. Select Participants to view the attendees. 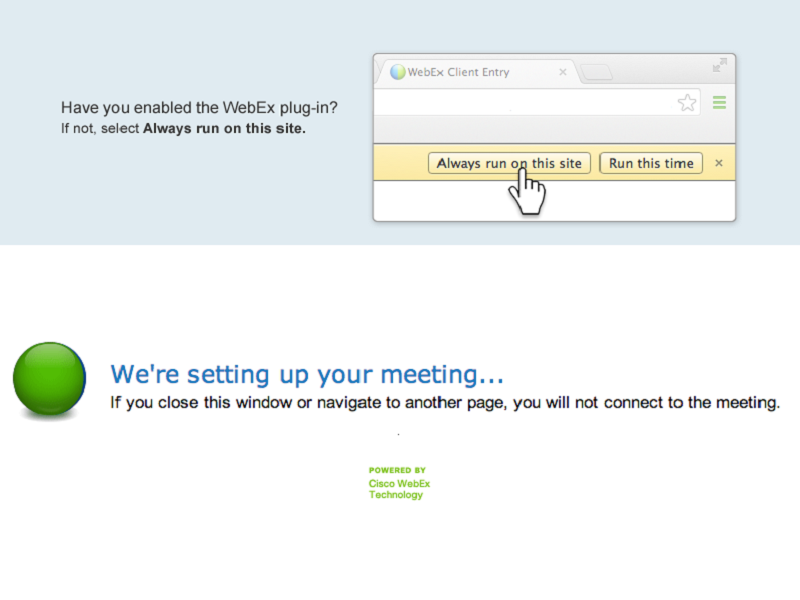 Click Chat to speak with participants in WebEx. 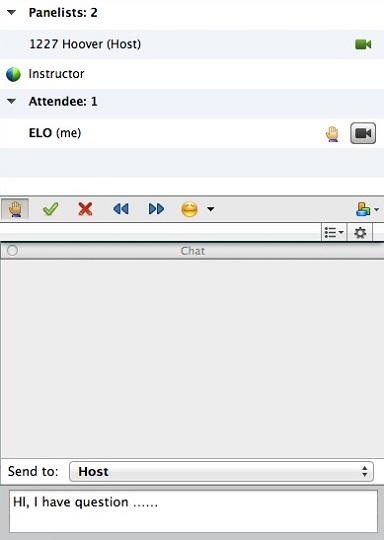 Note: The Chat dialog box will appear on your screen. 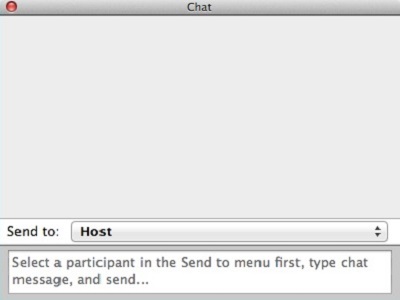 In Send to:, you can choose your message recipients. 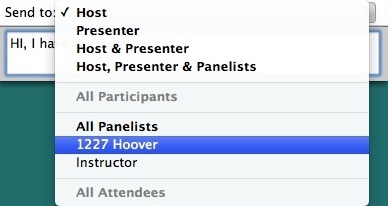 Attendees can get the attention of the presenter by selecting the hand icon shown below. If you are the presenter (made by the Student Producer), you can select the webcam to share video. Click to share your desktop. Unmute the mic before speaking. Note: You may want to do an audio test before start of your presentation. Close the session at the end of class.